SaaS companies have shown tremendous growth over the past few years. With the technological advancement, it’s now easier and cheaper to develop software and offer it on a subscription model. Time is money, the famous saying becoming more relevant nowadays as more businesses are trying to cut on both and SaaS comes out to be the savior in this case, with maintenance responsibilities shifting away from IT department and quicker adoption across the workforce, SaaS has become a hot favorite. Heart of a business lies in its marketing. 'Marketing' as a practice is itself a challenging job but marketing something which is constantly changing and evolving is not a child's play. When it comes to SaaS most of your revenue comes from existing customers and time and again it has been shown by various researchers that even a marginal increase in customer retention can lead to a significant gain in profitability plus these customers will get the virality your SaaS product needs. Giving away free stuff might not be the greatest marketing strategy for most of the businesses but when it comes to SaaS, free is the oil of its marketing engine. However freemium might be a better option as it offers limited access to the entire suite of tools which in long run convert to the stickiness of the product. This is a widely tested and a great approach to SaaS marketing and has proven to show results. There are companies which have long sales cycles which might run into months, you better not be one of them because months are like an eternity in SaaS world. In SaaS world, there is no long drawn out sales engagement, it’s unlike conventional sales cycle, the buying of SaaS is quick and transactional and the reason for it lies in the inherent nature of the business model itself. So to increase revenue and profit, a higher velocity in the sales process is required. The self-service model is of paramount importance when it comes to SaaS marketing and sales. 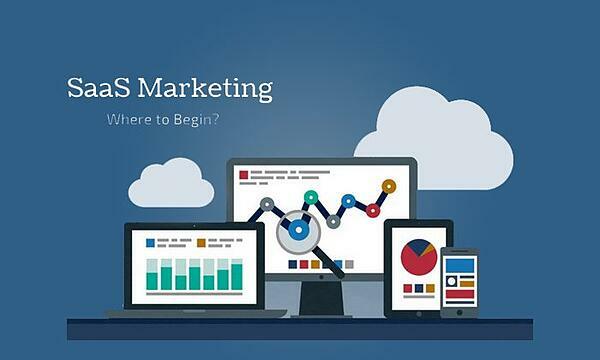 Are you in SaaS business and doing all the marketing strategies right and still getting no result? Well think again, one of the most overlooked aspects of SaaS marketing is the customer-facing component of SaaS i.e. Customer Service. In SaaS, help desk, marketers, and bloggers are the point of contact of your company for the customers. Keeping their interests in check can help you widen your customer base and ultimately profits. One of the foundational aspects of SaaS marketing is information. The selling point of your product lies on your information prowess. Dispensing information is the designing point of most SaaS. Never underestimate the tried and tested content marketing which businesses around the globe are leveraging to attract more people. Content marketing provides with compounding return i.e it increases value over time. One of the major differences between online advertisement and content marketing is that while one is rented and serves as a liability the other is a worthy asset. Complimenting content marketing search engine optimization bolsters the content by making it discoverable on various search engines like Google, Baidu, and Bing. There are on-page search engine optimization and off-page optimization both equally important in SaaS marketing strategy. There are different schools of thought when it comes to using referrals as a marketing tool. While talking about marketing we often forget that marketing only works if your product offers something useful to your clients. Trello a free collaboration tool created such an amazing product that they didn’t need the advertisement and other marketing strategies to work for them. Instead, their product found its recognition in the target crowd gained popularity through word of mouth. So continue to provide a superior product and it will make the market. The initial phase of every business needs some investment and SaaS is no exception, but the good news is that there are many SaaS marketing tools available which can fit all budgets. Also investing in different marketing channels (a combination of multiple channels) can reap a lot of benefits. In the initial phase giving access to people on 'invite only access' makes them feel privileged. After that offering them state of the art services and asking them to recommend good potential users help in building the customer base. This customer base is one which is the cornerstone of every successful SaaS business. As it often said the 'magic lies in the simplicity'. But in the case of SaaS, we have actually made SaaS marketing more complex and complicated than it needs to be. It doesn’t take a genius to see through this game of marketing. Like any successful product or service what mainly matters is your offering. Once you deal with that, a lot of marketing is taken care of itself. Above was my attempt to list out things you should start with when you for planning marketing for SaaS companies.